At a time when data is becoming the new currency, the healthcare industry is ideally placed to utilize the ever-increasing amounts of data in the current IoT landscape. Solution providers can use these vast volumes of data to create personalized healthcare plan, preventing the spread of critical illnesses. Providers can offer solutions that leverage IoT devices and sensors, like smartwatches and fitness trackers, helping users stay healthy and be used as ways to alert doctors and hospitals when the patients require medical attention. This will also give doctors a complete view of the patient’s health, negating the need for pre-visit questionnaires. A dominant trend in the healthcare field is Augmented Reality and Virtual Reality (AR and VR); it can make the process of healthcare less cumbersome and more involving. Using AR and VR, patients can see the procedures and the diagnoses and the procedures required right in from of them, enabling them to expand their horizons. IT can also be used to train doctors in operating procedures, increasing the professional workforce at a faster rate than what was previously thought possible. The amount of technology coming into the Pharma and Life Science is a lot to comprehend and without the right partner or provider, it will be a challenging field to comb through. 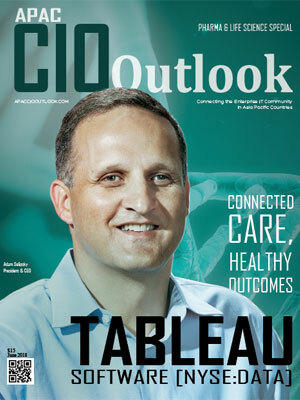 This edition of APAC CIO Outlook brings you the “Top 10 Pharma and Life Science Solution Providers - 2018.” This list gives you some of the most prominent organizations in the industry. 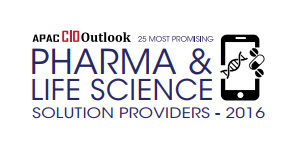 The proposed list envisions assisting companies to gain from the services of the right Pharma and Life Science Solution Providers who suit their specific requirements and help them enhance their expertise.